I have nothing of value to add to the criticism of Naomi Klein's anti-capitalism book The Shock Doctrine, I simply wanted to collect all of the great reactions from economists in one place. Ms. Klein's rhetoric is ridiculous. For instance, she attaches import to the fact that the word "tank" appears in the label "think tank." In her book, free market advocates are tarred with the brush of torture, because free market advocates often support unpopular policies, and torture also often supports unpopular policies. Clearly, by her tactic of freewheeling association, free market advocates must support torture. Often Ms. Klein's proffered connections are so impressionistic and so reliant on a smarmy wink to the knowing that it is impossible to present them, much less critique them, in the short space of a book review. Rarely are the simplest facts, many of which complicate Ms. Klein's presentation, given their proper due. First, the reach of government has been growing in virtually every developed nation in the world, including in America, and it hardly seems that a far-reaching free market conspiracy controls much of anything in the wealthy nations. Second, Friedman and most other free market economists have consistently called for limits on state power, including the power to torture. Third, the reach of government has been shrinking in India and China, to the indisputable benefit of billions. Fourth, it is the New Deal — the greatest restriction on capitalism in 20th century America and presumably beloved by Ms. Klein — that was imposed in a time of crisis. Fifth, many of the crises of the 20th century resulted from anti-capitalistic policies, rather than from capitalism: China was falling apart because of the murderous and tyrannical policies of Chairman Mao, which then led to bottom-up demands for capitalistic reforms; New Zealand and Chile abandoned socialistic policies for freer markets because the former weren't working well and induced economic crises. Cowen does say she's in the right when she says market advocates value markets over democracy, but this is in a post coated with stark criticism of all her other ideas. That between 25 and 60 percent of the population is discarded or becomes a permanent underclass in countries that liberalize their economies. In my paper I wondered why she provided us with neither an explanation for what this means, nor a footnote or source. Now we know, because in her response she openly admits that this is just her own summary of different (and sometimes incomparable) statistics on poverty and unemployment from a brief period and sometimes only a year from no more than four countries — Bolivia in 1987, Russia in 1996, some areas of Poland in 1993 and so on. She doesn't even use data series, but newspaper articles and books with information on just that particular year. Astonishingly, Naomi Klein calls this way of handling statistics and producing general conclusions on the effect of particular policies "standard practice." Well, it might be standard practice for some Canadian leftist fanzines, but at university we usually call it "rubbish." Not just because of the lack of data, but also of the biased choices — there is no explanation for the particular selections, it's not that they liberalised more than others, or that they are representative, and the years chosen are not the most recent ones, or from a particular period after liberalisation. It is that she found countries and years when things were really, really bad. For example, I don't think that Klein just happened to pick the one year Bolivia's unemployment was 25-30 percent and just forgot to mention that it was soon reduced to less than 10 percent. And it is probably no coincidence that she looks at mass unemployment in Poland 15 years ago, and not today when it has been reduced to less than 10 percent. We don't have to mention that one of her statistics on Poland in 2006 comes from a 2005 article to see that something is very, very strange here. If I took four other countries, other regions and/or other periods I would easily get the opposite result (for example if I looked at liberalisers like Estonia, Ireland, Iceland and Australia that Klein never writes about because they are too peaceful, democratic and successful). The fact that Klein thinks that this is serious research is actually much more damaging for her than any of the conscious distortions that I have examined elsewhere. If you want unbiased data you obviously can't cherry-pick countries and years, you have to look at longer periods and more countries. But if you do, you get the opposite results — the more liberal economy, the lower the unemployment and poverty rates, is the consistent result. And this is the reason why Klein never even tries. That's really all you need to read. Norberg also summarized her arguments and his additional criticisms of them. Economic liberalisation is unpopular, so those who want to liberalise often hope for a crisis of some sort, so that they can implement their reforms when people can't resist — a form of "disaster capitalism" that they have learned from the Chicago economist Milton Friedman. Economic liberalisation in recent decades has most often been the result of this "global strategy," of reformers taking advantage of political violence, military coups, war and natural disasters. This liberalisation, especially after 1990 when global capitalism lapsed into "its most savage form," has resulted in widespread poverty and unemployment. In my briefing paper on Naomi Klein's book I show that those three claims are false. Klein doesn't find any economists who believe in this "global strategy." She has to take Milton Friedman's quotes out of context to give that impression. The closest thing she ever comes is one economist who once asked a question at a seminar about whether high inflation might build a pro-reform consensus. Since economic liberalisation has happened in almost all countries in the world to some extent in the last decades, Klein can pick examples of reforms taking place in dictatorships and in times of war and natural disasters. But if you look at the whole world and use statistics instead of anecdotes, you see that reforms have gone the furthest in peaceful democracies, and the era of "savage capitalism" has been the era of democracy — the number of electoral democracies increased from 76 to 121 between 1990 and 2007, according to Freedom House. Since 1990, worldwide GDP per capita has increased by a third and absolute poverty has been reduced from 42 to 26 percent according to brand new World Bank statistics (updated since I wrote my paper). 76,000 people were lifted out of extreme poverty every day under "savage capitalism." And there is a strong correlation: The more economic freedom in a country, the lower the poverty and unemployment rates are. "I have nothing of value to add to the criticism of Naomi Klein's anti-capitalism book The Shock Doctrine, I simply wanted to collect all of the great reactions from economists in one place." In other words you're incapable of original thought so opt for the 'appeal to higher authority' line. 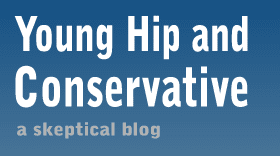 Young, hip and conservative? Laughable. You nailed it John, I just write what the Koch brothers pay me to write. Michael, have you read the shock doctrine? No, just as I have not read Michael Behe's "Darwin's Black Box" or Kevin Trudeau's "Natural Cures "They" Don't Want You To Know About"
Can't we treat Islam the same as other religions?